Join us for food, fellowship and fun at our annual Community Festival. This August 20th event is fast approaching! In addition to the Pig Roast we will have a silent auction and a raffle. 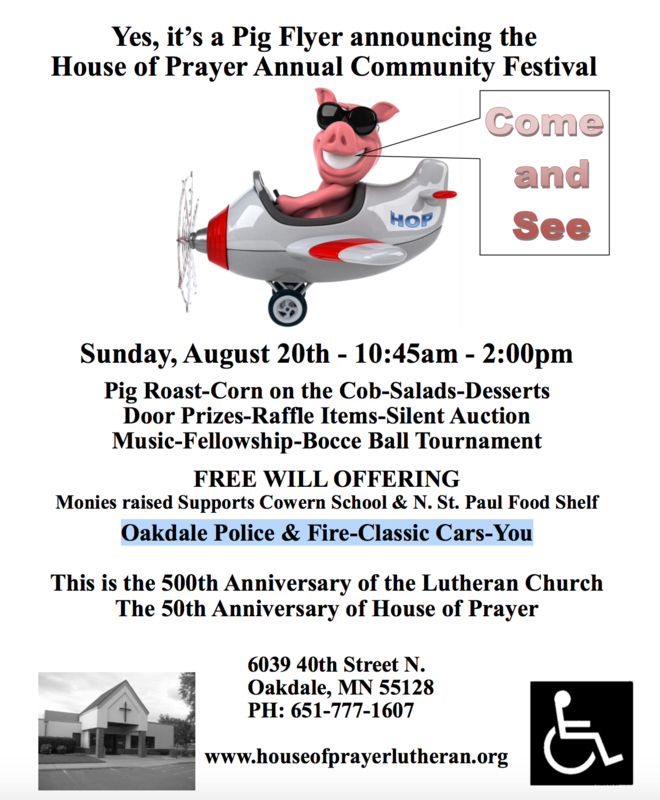 Sunday, August 20th 10:45 a.m. to 2 p.m.
Free Will Offering. All proceeds will go to support North St. Paul Area Food Shelf, Cowern School and mission work of House of Prayer.